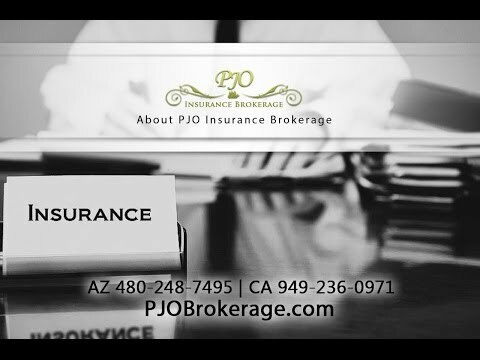 In 2003, PJO Insurance Brokerage was founded with a single purpose, that the insurance agency will make it a priority to provide our clients unparalleled customer service, that their needs are always above ours and to provide our clients appropriate and best coverage for their Orange County business insurance needs. The approach that PJO Insurance Brokerage has always taken is from the client’s view, looking at what their concerns on insurance are, thoroughly reviewing what the clients insurance requirements are in relationship to the industry their operations are in and creating an insurance plan that will fit those needs. The great advantage the PJO Insurance Brokerage has is that we are an independent insurance agency, which means better selections since our agency is not tied to any one insurance carrier, thus our agency has access to a high number of insurance carriers, which gives our clients an edge in securing the proper insurance coverage for their Orange County, CA company. This way instead of having just one insurance company to choose for their California Insurance needs, they now will numerous carriers and insurance plans to choose from. With the professional brokers at PJO Insurance Brokerage in California having over 60 years of combined insurance experience, a commitment to perform at a level above the rest, drawing on the finest resources to deliver the best insurance products and service to our clients with an unmatched personal attention and superior customer service. At PJO Insurance Brokerage, our brokers understand that each client’s needs are different and will need its own designed insurance plan. If your Orange County, CA Company is just starting out or has been doing business for many years, PJO Insurance Brokerage has the expertise and resources and to handle of your company’s insurance needs. PJO Insurance Brokerage has access to many of the AM Best-rated insurance carriers available, thereby providing a broad scope of business insurance policies and coverage options to fit most of your Orange County, CA Company’s insurance needs. Our agency has various markets for Orange County, CA company such as General Liability Coverage, Errors & Omission Liability Coverage, Cyber Liability Coverage, Professional Liability Coverage, Product Liability Coverage, Pollution Liability Coverage, Directors & Officers Liability Coverage, Employment Practices Liability Coverage and Workers Comp Coverage, these are among the various coverages that PJO Insurance Brokerage has to offer their clients. In addition, our agency has markets for those hard to place businesses such as new ventures, roofers and welders. PJO Insurance Brokerage takes pride dedication to servicing our clients by getting to know our clients company, learning as much as possible about their company, so the end result will be an insurance program tailored to their insurance needs, because the client is always our first priority. In reviewing our clients company’s operations, our agency is better prepared to present the client with several insurance options that will assist their company in having the proper coverages should a disaster or claim happen to them. If your business would like to see how having professional experienced brokers handle their Orange County, CA Company’s insurance coverage requirements, please call PJO Insurance Brokerage today to allow our experienced brokers to go to work for your business, ensuring that your insurance needs are met with the right coverage and with customer service second to none. We look forward to hearing from you.